We are now up to Part IV of the Beating Knee Pain series. In Part I we focused on the basics when it comes to knee pain and some of the fundamental issues that tend to cause knee pain. In Part II we talked about tissue quality and mobility work. Finally, in Part III we started to look at some of the strength training exercises that would be beneficial in reducing knee pain. In Part IV we are going to take the strength training to the next level. In Part III we focused only on bilateral (2 leg) movements. As important as bilateral movements are, it’s time to take our strength training to the next level. 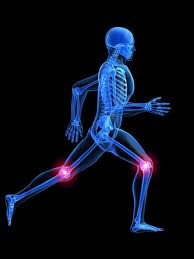 Now we are going to focus on single leg strength – a huge component to proper knee health. Before we start, I am going to warn you that these exercises are much harder to perform then your typical bilateral exercises that you are used to. However, learning how to perform these movements properly is vital to improving your knee health. Next week in our final installment of the series I am going to tie everything together. In doing so I am going to put together a couple different strength training programs for you to use if you are battling knee pain currently or just want to continue to train pain free and stay healthy.